22 December 2009 - Sprayed regrowth of 9 December slashing and slashed around rest of 2009 plantings. - approx 3 hours work. 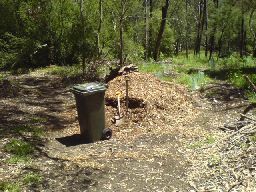 9 December 2009 - Spread mulch donated by City of Boroondara around picnic area plantings. - approx 2 hours work. 25 November 2009 - Slashed blackberries that have grown in the billabong over thelast 2 years - approx 2 hours work. 23 November 2009 - With lots (40mm) rain over the weekend and showers predicted for next weekend, it was an opportune time to plant the last 50 plants left over after September planting day. Slashed the northern section (non-Trad) area of the 2009 planting area, and along the bike path where the 20/11 mower missed. - approx 4 hours work. 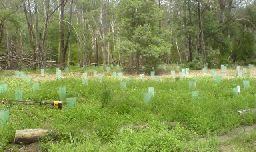 20 November 2009 - David, Helen & I weeded spear thistle in the billabong; about 10 flower heads had seeded in north east corner - approx 2 hours work x 3 people. Someone had recently mowed either side of the bike path through most of the reserve except for the last 300 metres before Burke Rd. Bridge; of which 100 metres needed mowing. 13 November 2009 - Replaced broken 'Poulan Pro' slasher attachment with an old Ryobi slasher attachment. Slashed an area of Trad in the 2009 planting area and sprayed with 1.5% glyphosate (360 gpL) within 15 minutes. Watered some plants (2 Nov planting), which with no rain since then and about 7 days of 30+° were not looking good. - approx 2 hours work. 9 November 2009 - Slashed an area of Trad in the 2009 planting area and sprayed with 1.5% glyphosate (360 gpL) within 15 minutes. Slasher line cover cracked and that finished work for the day. - approx 1½ hours work. 5 November 2009 - Slashed an area of Trad in the 2010 planting area and sprayed with 1.5% glyphosate (360 gpL) within 15 minutes. - approx 1½ hours work. 4 November 2009 - Grubbed spear thistle in the billabong, slashed the edge around top area, planted 30 plants in the west end of 2009 area, and slashed an a small area of Trad in the 2010 planting area and sprayed with 1.2% glyphosate (360 gpL) within 15 minutes. - approx 6 hours work. 2 November 2009 - Slashed the picnic area, planted 23 plants in the area where the boxthorn had been cleared, and a couple in the 2008 area as infill. Planted 35 Poa lab (Poa labillardierei) near the track and bike path junction. Slashed an area of Trad in the 2009 planting area and sprayed with 1.2% glyphosate (360 gpL) within 15 minutes. I have heard that this overcomes the spray resistant waxy leaves that Trad has. Also sprayed some re-emergent Chilean needle grass on 1 November - approx 3½ hours work. 23 October 2009 - I slashed all the 'pampas lily of the valley' which had sprung up in the 2009 planting area, planted 4 kangaroo apples and 8 goodenias, and finished spraying the 2008 planting area. I also knocked over a box elder and 2 small hawthorns. - approx 4 hours work. 22 October 2009 - Cleared spear thistles and Madeira winter cherry from north west end of the billabong (D4) - approx 2½ hours work. 10 October 2009 - Sprayed 2008 reveg area and slashed around edge of Chris Cross car park area which Bob has recently mowed. - approx 1 hours work. 9 October 2009 - David, Helen & I worked on the north end of the billabong clearing spear thistles, ink weed, Madeira winter cherry and some milk thistles, clearing a large area - approx 3 hours work x 3. 8 October - Took some Native Peppercress Lepidium pseudohyssopifolium cuttings to VINC - some taken from picnic area plant and some from MW area in NW of reserve. Cut out 1 very small gorse seedling in this NW area. 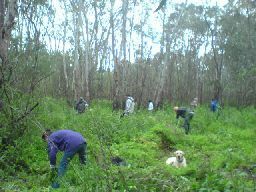 7 October 2009 - RMIT Conservation & Land Management students cleared spear thistles (pictured right) from the billabong and rolled up Trad (pictured left) as part of their course in practical weeding techniques - approx 2 hours work by 15 students. 1 October 2009 - Slashed the 2008 planting area (D7 - D8) of reemergent Trad, grass and thistles. 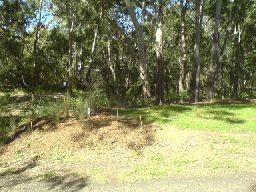 Planted some Geranium sp.#1 and Correa glabra around picnic area- approx 2½ hours work. 28 September 2009 - Slashed the area (D6 - D7) of reemergent Trad and Pampas Lily of the valley in the 2009 planting area, and slashed around the picnic area. - approx 2½ hours work. 23 September 2009 - I planted another 12 plants in the 2008 and 2009 reveg area. Plants were as per 9 September. Slashed most of area (E6 - E7) west of picnic area. - approx 3 hours work. 18 September 2009 - David Cummings and I planted another 90 plants in the 2008 and 2009 reveg area. Plants were as per 9 September. 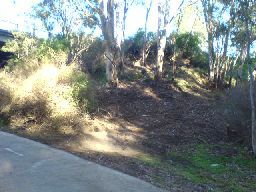 Slashed picnic area and sprayed bank west of track. - approx 3 hours work x 2. 11 September 2009 - David Cummings and I planted another 50 plants in the 2008 and 2009 reveg area. Plants were as per 9 September. 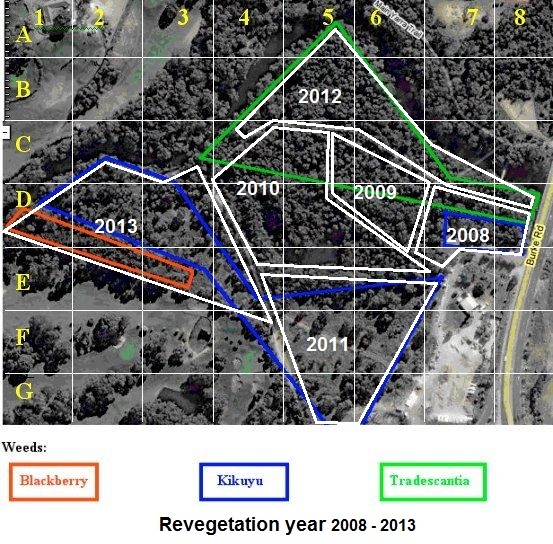 Plantings in the 2008 reveg area were infill for dead plants with species not planted there last year. - approx 3 hours work x 2. 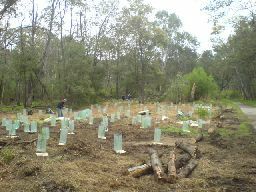 9 September 2009 - RMIT Conservation & Land Management Students planted 550 plants in the 2009 reveg area. Plants were 50 River red gum (Eucalyptus camaldulensis), 50 Silver Wattle Acacia dealbata, 50 Tree Everlasting Ozothamnus ferrugineus, 100 Snowy Daisy bush Olearia lirata, 150 Native Hemp bush Gynatrix pulchella, 50 Wedge-leaf Hop bush Dodonea viscosa, 50 Hop Goodenia Goodenia ovata, and 100 Clustered everlasting Chrysocephalum semipapposum (VINC 550). - approx 2 hours work x 20 students. 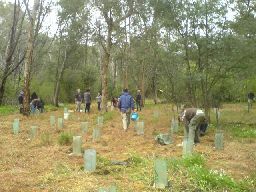 THANKS TO ALL THE RMIT STUDENTS & STAFF, DAREBIN PARKLANDS FOR TREE GUARDS. 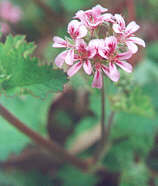 2 September 2009 - Planted 13 Austral Stork's Bill (Pelargonium australe) around picnic area. Sprayed in 2009 reveg area. Slashed between picnic area and Burke Rd. - approx 3 hours work. 31 August 2009 - Planted 45 Poa labs (Poa labillardierei) around picnic area. Slashed Trad in 2009 reveg area. - approx 2 hours work. Bob Griffiths of Chris Cross has recently removed some of the boxthorn stumps and heaped most of the dead boxthorn. 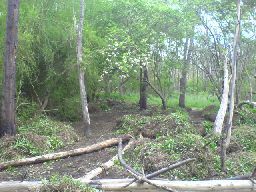 Photos show the cleared area. 27 August 2009 - Collected another 200+ tree guards from Darebin Parklands. Slashed picnic area and surrounds. - approx 1½ hours work. 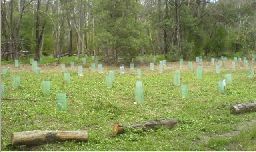 20 August 2009 - Collected about 100 tree guards from Darebin Parklands. 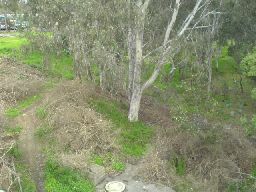 Slashed, weeded and removed tree guards from dead plantings in the 2008 reveg area. - approx 2 hours work. 19 August 2009 - Sprayed the Chilean Needle Grass Nassella neesiana. 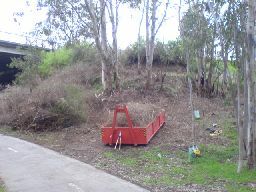 Slashed, weeded and removed tree guards from dead plantings in the 2008 reveg area. - approx 3 hours work. 14 August 2009 - Sprayed the rest of the 2009 revegetation area excl. Trad as this had shown little effect from 24 July spray - 360gL glyphosate at 1.2%. 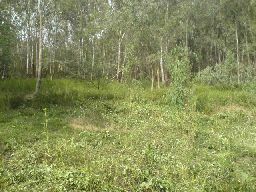 Slashed, weeded and removed tree guards from dead plantings in the 2008 reveg area. - approx 3½ hours work. 6 August 2009 - Slashed and weeded the picnic area and 2008 reveg area, and planted some replacement Goodenias and Dianellas around puicnic area. - approx 2¼ hours work. 24 July 2009 - Started to spray 2009 revegetation area - 360gL glyphosate at 1.2% with a red marker dye. About ¼ of the area done. 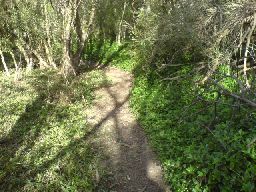 Weeded along the Chris Cross track on the way out - approx 2½ hours work. DSE agreed that the draft Management plan can go up on the website for public comment and it was uploaded. 13 July 2009 - Continued the second slash of the 2009 reveg area C7 - D7. Met a 2' (60cm) long tiger snake just before finishing. Now about ¼ done. - approx 2 hours work. 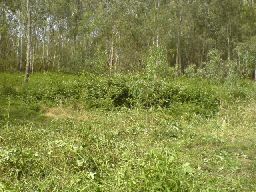 09 July 2009 - Cut back some more boxthorn but running out of room to put the cutoffs again, then started the second slash of the 2009 reveg area D7 - approx 2 hours work. 22 June 2009 - Cut back a large amount of boxthorn, collected some Kidney weed (Dichondra repens) rootstock from Wilson Reserve - approx 3 hours work. 19 June 2009 - AM - Started 5 trays of Acaena novae-zelandiae (Bidgee-widgee) cuttings. PM - Slashed around Muttonwood sapling to see whether it could be layered (would be difficult), and then finished slashing picnic area. 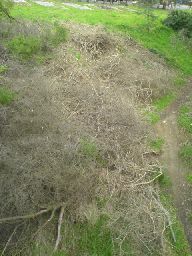 Cut back some boxthorn - approx 3 hours work. 1 June 2009 - David Cummings and I loaded one of the large piles of boxthorn into the skip - approx 6 hours work. THANK YOU BOB, CLYDE, DAVID, ERIN, HELEN, MICHAEL. 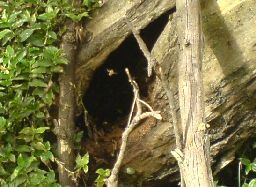 2 April 2009 - The main copse of Muttonwood (Rapanea howittiana) look to be dead, including a small tree about 3 metres from the main group, but presumably joined to the same root system. Another tree a further 3 metres away is still in good health and I took some cuttings of this to VINC to replace the previous ones. 10 March 2009 - Slashed an area north of Chris Cross car park and south of the bike path that I hadn't done much to last year. 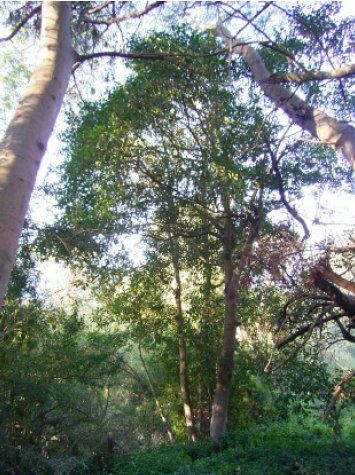 Melbourne Water phoned to say that their contractors had mistaken the copse of Muttonwood trees (Rapanea howittiana) (pictured left) for Sweet Pittosporum and unfortunately ringbarked and poisoned them. When the mistake was realised the ringbarked trunks were lopped below the ringbark and 4000 cuttings were taken. Melbourne Water plans to plant 500 of the resulting plants in the area. p.s. Cuttings at VINC looked to be nearly dead on 26 March. p.s. Sprayed surface insect spray down the hole a couple of times over the following weeks with little effect. 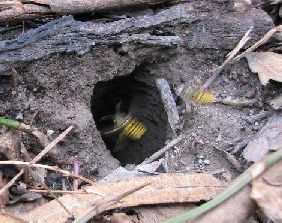 Poured about 150 - 200 ml of petrol done the hole on 23 March and the wasps had left by 1 April, however I found a nest (relocated?) in a hole in a Redgum trunk nearby. 2 March 2009 - Two hours slashing Trad in preparation for 2009 planting. Nearly all the area south of the path in C5 and C6 has now been slashed. Removed a few Madeira winter cherry, blackberry and moth vine. I expect 1 more follow up slash of the whole area and 1 spray should see it ready for planting. 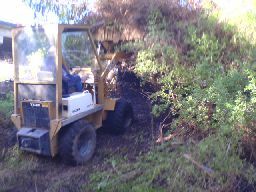 12 February 2009 - Started slashing Trad, but after a couple of minutes the Poulan brushcutter stopped and when it did run, would not rev. fast before cutting out. A similar problem to the problem last August. For an 8 month old brushcutter (with the work listed below) I am very disappointed in it. It's now in for repair which will take until next week. approx. 2 minutes slashing in 15 minutes work. 6 February 2009 - Continued preparation for this year's planting in C5 + C6, slashing Trad, and removing some Madeira Winter Cherry and Blackberry. Hopefully with tomorrow's predicted 40+° heat it will burn the roots as well. approx. 3 hours work. 4 February 2009 - Starting preparation for this year's planting in C6, slashing Trad, and removing some Madeira Winter Cherry and Blackberry. Surprisingly most of the Trad was green and moist, despite the 40+° heat last week and with only 0.8mm rain in January. approx. 3 hours work. 27 January 2009 - With 0.8mm rainfall so far this month and 38°+ and no rain forecast until next Monday at least, gave plants a drink with 80litres from Chris Cross and 200 litres of water from the river. Some more of the September plantings have not survived. approx. 2½ hours work. 24 January 2009 - Checked bat tubes - No bats, just a few Huntsman spiders. With 0.8mm rainfall so far this month and a few hot days this week, gave those plants most in need a sip of 35 litres of water from the river. Some more of the September plantings have not survived. approx. ½ hour work. 12 January 2009 - The Committee's resident soil scientist took a core sample of soil from the billabong floor and measurements at various points to estimate the area which would be flooded at different water levels. We both then grubbed out more spear thistles in the billabong, along with some Inkweed, Deadly nightshade, and Madeira Winter cherry. We discovered some spear thistles which had flowered and dropped seed. approx. 2½ hours work * 2 people. 7 January 2009 - Slashed near car park, September planting area, plus 1 metre along bike path north of Chris Cross. Distributed 60 litres of water among recent plantings (200 - 400 ml per plant). Approx. 2½ hours work. VINC 250.